Yo, ho, ho, and a bottle of rum! Yer friendly app pirate is back again for another review ‘afore me and the entire crew will sail the Jolly Roger on the seven seas. Me parrot pet is also excited to go for another adventure so let me share with ye another app review ‘afore we go booty hunting again. Apart from rum, the buckos and I love eating cookies! Aye, when we have a few days of break on land we always go to the cookie shop and hoard lots of cookies to store in the ship that will last us the entire journey. The app that I will share with ye today has something to do with cookies. Its title is called Cookie Wars from Devsisters Corporation. Avast ye lads and lasses and let’s start with the review. Cookie Wars has an eye-candy graphics that you would be happy to look at. There are different cookie characters to collect like the orange cookie and blackberry cookie. However, there is no guarantee that you can get a unique cookie. Many times, you will get duplicate cookies that you already have in your units list. Apart from the characters themselves, there are also different environments in the game that give you various backgrounds. There are different worlds that you can play, which you can unlock when you complete all levels in the previous modes. What’s good about it is that you can play again the levels that you have already unlocked and get the chance of getting three stars. Aside from the story mode and PVP mode, there are other special models available that can be unlocked when you reach a certain level. This gives you variety on the game so you will not get easily bored. You can survive the first few levels of the game without a problem. However, the higher levels can quickly get difficult so you may find yourself contemplating on upgrading your cookies. With the PVP mode, you can be matched with a player that has a higher level that yours, which means that you are more likely to use. It would have been better if players on the same levels will be matched so they have a fair chance on the game. 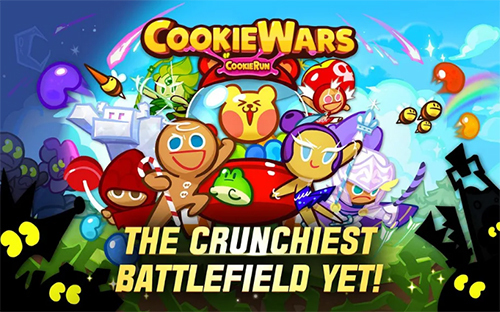 Cookie Wars is available for download without any cost. It comes with in-app purchase, which as mentioned; you might be tempted on getting because it would be difficult to pass on the higher levels without upgrading. This app is free to download and it has amazing graphics. There are also different worlds, modes, and backgrounds that add variety to the game. The higher levels can be difficult to pass so you might be tempted to make an in-app purchase. Players with different levels can be matched against each other, which give a lesser chance for the lower level player to win. Cookie Wars is generally a fun casual game to play and waste time. 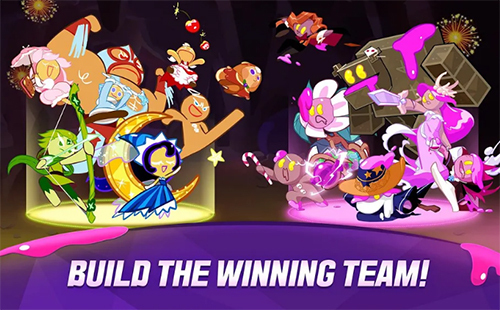 It has a few setbacks like being matched with higher level players but overall, it will keep you entertained for hours, especially it has various levels, worlds, and modes.